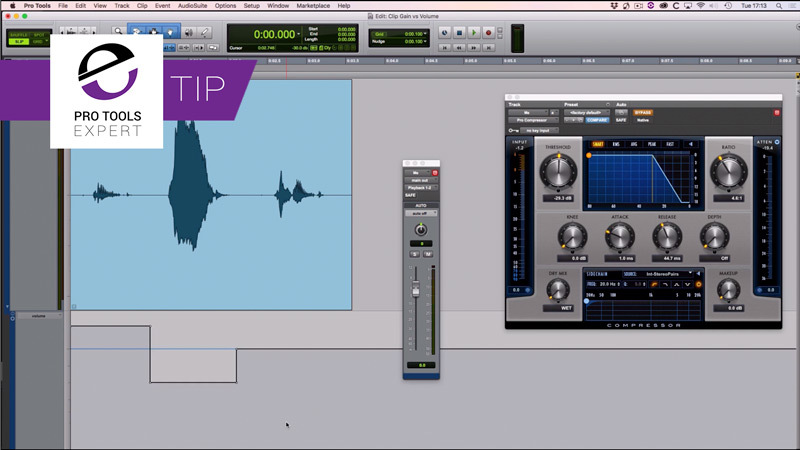 In this premium video tutorial, Pro Tools Expert team member Julian Rodgers explains the key differences between using clip gain of volume automation to manage the level of audio. Clip Gain and Volume Automation both control how loud audio is but they do it in different ways and at different points in the signal path. Julian uses an example to illustrate the differences and talks through these differences in detail offering advice on the consequences of using one over the other.